For the second time this season, the Broncos enter a do-or-die game. This time, however, it doesn’t come against the hapless Cardinals. This time, the Broncos’ coaching staff will have to fight for their jobs against a red-hot Texans team that has won five straight. 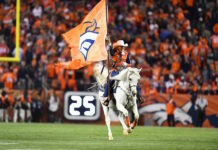 Denver’s coaching staff aren’t the only ones with a lot a riding on this game. Now, of course, Demaryius Thomas‘ revenge game will be the focus of most of this game’s coverage, but the bigger story in Denver should be the coaching staff. With a loss, Denver will enter the bye week 3-6 with losses in six of their last seven. To make matters worse, two of those wins came against the Cardinals and Raiders, who appear to be the worst teams in the league. The good news? Vance Joseph is undefeated in win-or-get-fired games. The strongest position group for Houston is, without much doubt, their edge rushing duo of J.J. Watt and Jadeveon Clowney. Before a series of injuries that forced Watt to miss just over 75% of Houston’s games in the 2016 and 2017 seasons, he was the most dominant defensive player in the league. Watt won three out of four Defensive Player of the Year awards from 2012-2015, a feat that’s never done by any other player. In fact, the only other player with three DPOY awards, Lawrence Taylor, earned his over a six-year span. 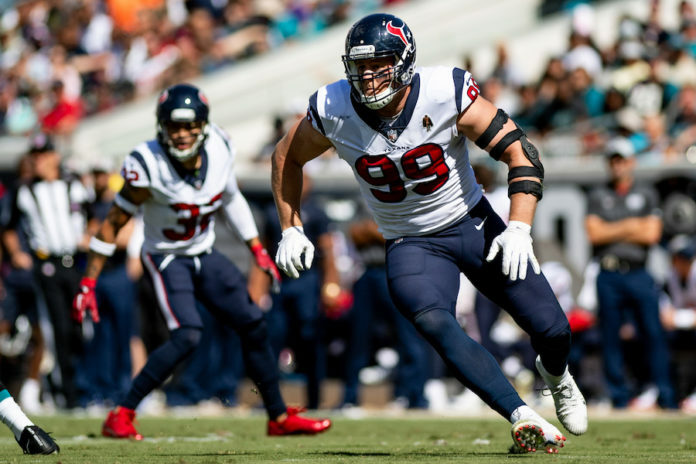 Watt may be back to form, as he currently is tied for second in the league for sacks (with Von Miller, among others) with a total of eight sacks. Considering that Watt and Clowney have a favorable matchup against the Broncos’ tackles, Case Keenum may be in for a loooong day. Fortunately for the Broncos, they should be able to match Houston’s pass rush. One thing they won’t be able to match, however, will be Houston’s quarterback play. After a rocky start, Texans’ quarterback Deshaun Watson has caught fire as of late. In Houston’s most recent game, a 42-23 win over the Dolphins, Watson was a machine; he threw for 239 yards and five scores, while also having his fewest rushing attempts of the season. Watson’s blend of mobility and pocket prowess makes him a headache for any team, especially a team with as shaky a secondary as the Broncos. The greatest challenge Houston will present to the Broncos though will be their ability to take away Denver’s ground attack. Denver’s identity since 2015 has been their stout defense, but as the defense has declined, the Broncos have been forced to transition to more of a ground-and-pound rushing attack. The Texans need to stop the Broncos’ run game and force Keenum to throw as many times as possible. However, unlike the Chiefs, Houston has the personnel to do so. Houston’s front seven is among the best in the league, with linebackers Whitney Mercilus, Benardrick McKinney and Zach Cunningham to go with the defensive line led by Watt and Clowney. Houston ranks among the elite run-stuffing teams, according to Pro Football Focus – the Texans find themselves in the top four teams in terms of number of run stuffs and average depth of tackle. According to PFF, the Texans’ offensive line has been among the worst in football since trading left tackle Duane Brown to the Seahawks last year. Houston has allowed the fifth-most sacks in the league this season with 14, over 50% more than the Broncos’ offensive line, and is tied for the most quarterback hits allowed with 24, almost three times more than Denver. Houston also ranks ahead of only the Cardinals in terms of pass-blocking efficiency and percentage of snaps where pressure was allowed, as they allow pressure on almost 40% of Watson’s dropbacks. The Broncos’ tenacious pass rush should be able to tee off on Watson as the Texans’ running game poses little threat to Denver’s defense. Running back Lamar Miller hasn’t been a game-changer for the Texans. Miller has been bottled up for much of the year, averaging only 63 yards per game with just one touchdown on the season so far. Miller’s partner in the backfield, running back Alfred Blue, hasn’t done much to help Miller in the absence of second-year running back D’onta Foreman. Over the Texans’ five-game win streak, Blue has averaged a mere 34.6 yards per game. Because of this, Houston has been forced to turn to their passing attack more, which took a huge hit last Thursday night when wide receiver Will Fuller tore his ACL against the Dolphins. Fuller was an important part of the Texans’ offense, as his speed forced opposing defenses to play further off the ball. This gave Watson and Hopkins more space to work with that they now won’t have. Houston has tried to remedy their shallow receiving core by trading for former Bronco Demaryius Thomas. However, considering this is Thomas’ first week in an entirely new offense, it seems unlikely that he’d have a high snap count. 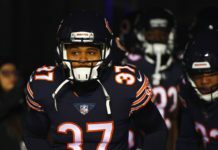 Even if Thomas plays every snap, he still would be a downgrade from Fuller. This could give Denver’s secondary the rare opportunity to exploit a shallow receiving core. 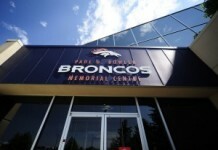 The Broncos will host the Texans Nov. 4th at Broncos Stadium at Mile High at 2:05 MDT.